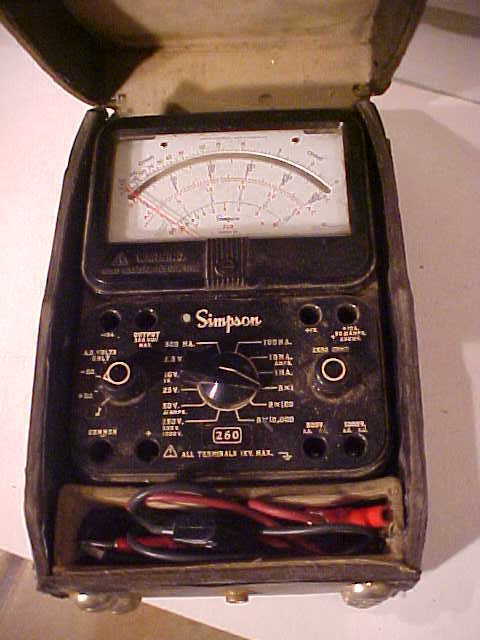 All safe electricians worth their salt know about OSHA regulation 1910.147(c)(3). Only Power Plant electricians have learned more about OSHA regulation 1910.147(a)(1)(ii)(C). Section 147 has to do with locking out and tagging a power source in order to protect the employees working on the circuit. 147(a)(1)(ii) says that Power plants are exempt from section 147. In other words, if you are working in a power plant it is all right to have a less stringent lock-out/tag-out procedure in place than if you didn’t work in a power plant. One of the first things I learned from Charles Foster, my foreman when I became an electrician was how to remove the “heaters” from a breaker relay in order to protect myself from an “unauthorized” operation of the breaker. That means…. in case someone accidentally turned on the breaker and started up the motor or whatever else I was working on. “Heaters” are what we called the overloads that trip a 480 volt breaker when the circuit uses more power than it is supposed to be using. They are called heaters, because they literally “heat up” in order to trip the breaker. Dee was wiring up a sump pump at the bottom of the coal dumper. The motor had been taken out while the pump had been repaired. Once back in place Dee was sent to wire it back up. The proper clearance had been taken to work on the motor. That is, she had gone to the Shift Supervisor’s office in the Control Room to request a clearance on the motor. Then later she had witnessed the operator opening the 480 volt breaker and place the clearance tag on the breaker. 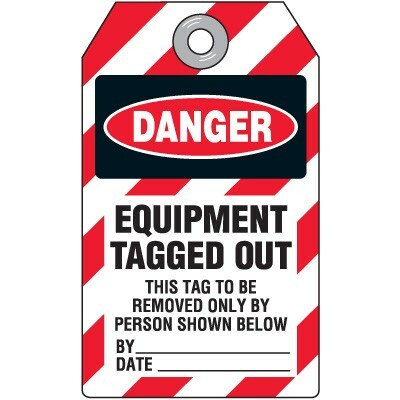 The tag is signed by the Shift Supervisor and is only to be removed by an operator sent by the Shift Supervisor. 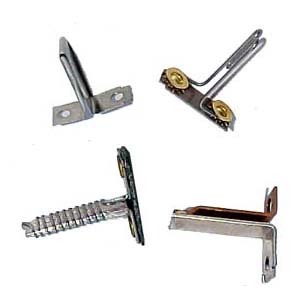 It is placed through a slot in the handle on the breaker that keeps the breaker from closing unless the tag is removed first…. well… that’s the theory anyway. Dee had just finished hooking the three leads in the junction box together with the cable coming into the box using two wrenches. She reached down into her tool bucket that she was using as her stool to get some rubber tape to begin wrapping the connections. The three bare connections were sticking out in front of her face. The Junction box is the box on the right side of this motor. At this point the cover would be off and the wires would be sticking straight out. As she reached into the bucket, the motor turned on and began running. Startled, Dee stopped what she was doing. I suppose she also pinched herself to make sure she wasn’t dreaming. Then I suppose she checked her diaper to make sure it was still dry. Then I suppose she may have said a few choice words whether anyone was around to hear them or not. Maybe not all in that order. For those of you who don’t realize what this meant. It meant that if the motor had started running about 5 to 10 seconds later, someone, some time later may have made their way down to the west end of the dumper sump only to find one charred Diana Lucas (who never would have later become Diana Brien). They might not have recognized her at first. I can assure you. It wouldn’t have been pretty. You see… someone had removed the Hold Tag and purposely started up the motor totally disregarding the clearance. I won’t mention any names, but his initials were Jerry Osborn. So, after Charles told me this story, he showed me what to do to prevent this from ever happening to me. Charles and I went to the Shift Supervisor’s office to take a clearance on a motor. Then we followed the operator to the breaker and watched him open the breaker and put the tag on the handle. Then we signed something and the operator left. After the operator left, Charles told me to open the breaker and slip the hold tag through the slot in the door so that the door could open without removing the tag. I followed his directions. Once the door was open, he told me to remove the three heaters on the bottom of the relay and hide them at the bottom of the breaker box. 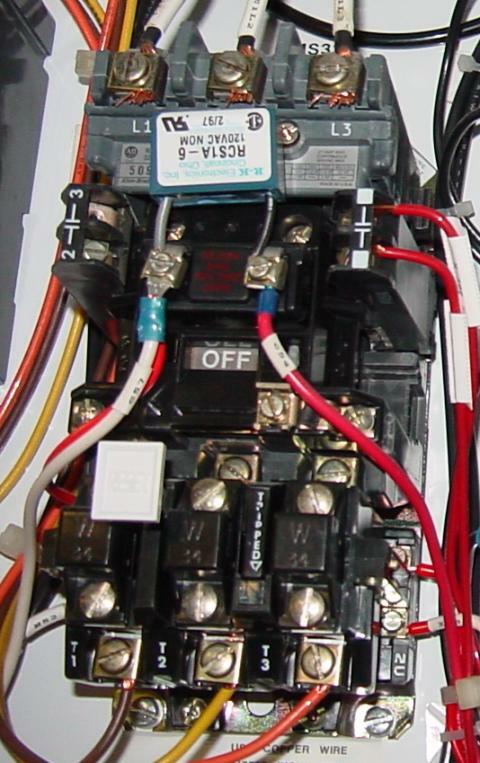 You see… with the heaters removed, even if someone were to close the breaker and try to start the motor, the electricity would never leave the breaker box because I had just created an open circuit between the relay and the wires going to the motor. Well… If you don’t learn from history you are bound to repeat it. No. I’m not going to change subjects and start talking about making it illegal to own guns. Anyway, there is always a chance for something to go wrong. The Peter Principle demands it. So, at one point, someone forgot to replace the heaters in the relay before returning their clearance. When the motor was tested for rotation, it didn’t work. At that point the electrician knew that they had forgotten to re-insert the heaters. So, they had to return to the breaker to install the heaters before the motor would run. This didn’t set well with the Shift Supervisor, who has supreme power at the power plant…. well… besides the janitor who had total control over the toilet paper supply. Technically we were not going around the hold tag by removing the heaters because they were downstream from the breaker handle which cut off the power to the relay. The Shift Supervisor on the other hand believed that the hold tag included everything in the breaker box, including the relay and heaters (which really was stretching it). An argument ensued that pitted the shift supervisors and the supervisor of operations, Ted Holdges with the electricians. Ted argued that we should not be removing the heaters to keep ourselves from becoming electrocuted accidentally when someone inadvertently removes a hold tag and turns the breaker on and starts up a motor. Electricians on the other hand argued that if we were going to be exposed to the possibility of being electrocuted, we would rather not work on any circuit. Without being completely assured that we would not occasionally be blown to pieces when someone or something accidentally caused the circuit to become hot, we concluded it wasn’t worth it. So, a compromise was reached. We could remove the heaters, but they had to be put in a plastic bag and attached to the hold tag on the outside of the breaker. That way, when the clearance was returned, not only were the heaters readily available the operator would know to contact the electrician to re-install the heaters. The electricians didn’t really like this alternative, but we agreed. We were assured that there wasn’t any way that a breaker was going to be turned on and operated with the heaters in them when someone was actually working on a circuit. Fast forward three years. 1992. Bill Ennis and Ted Riddle were working on replacing a large electric junction box on the stack out tower. The Stack Out Tower is the tower that pours the coal out on the coal pile. Halfway up this tower there is a large junction box where most of the electric cables passed through going to the top of the tower. Bill Ennis had taken a clearance on a number of motor and control breakers. Bill returned from lunch one day to work on the junction box, removing the old cables. Putting new lugs on them and placing them in the new junction box. 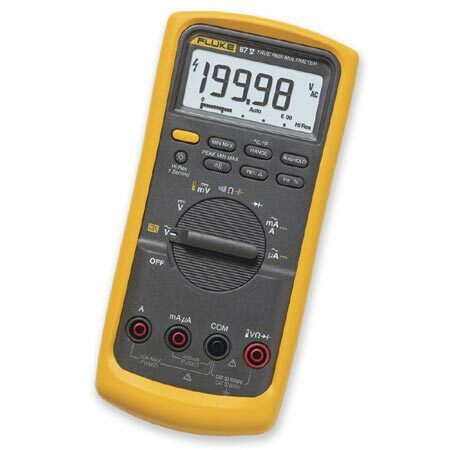 As he began working, he decided to take out his multimeter and check the wires he was about to work on…. Bill was surprised to find that one set of cables were hot. They had 480 volts on them. Everything in this box should have been dead. I suppose he pinched himself to make sure he wasn’t dreaming. Then I suppose he checked his diaper to make sure it was still dry. Then I suppose he said a few choice words that Ted may have heard if he was standing close by. What had happened was that there had been two clearances on this one particular motor. One of the electricians had returned his clearance, and had installed the heaters that were in the plastic bag on the front of the breaker and the motor had been tested for rotation and put back in service. The operator had taken both clearances off of the breaker by mistake. Ok. It was time for another meeting. Something had gone wrong. If it had not been for the guardian angels of both Diana Brien and Bill Ennis, at this point we would have had at least two dead electricians, and believe me…. I know that when an operator had later climbed the stack out tower to check the equipment, if he had run across the body of Bill Ennis… it definitely wouldn’t have been pretty (even on a good day). I attended this meeting with Ted Holdges as did most of the electricians. I began by telling Ted that when we had met three years earlier I was newly married and wouldn’t have minded so much if I was killed by being electrocuted because I was young and only had a wife who knew how to take care of herself. But now it was different. I had a little girl at home and I need to be around to help her grow up. Ted looked surprised by my remark. I had just told him the way I felt about this whole situation. The argument that we were making was that we should be able to place locks on the breakers just like OSHA demanded from the other industries. We had demonstrated that we didn’t have a system that would protect us from human error. We needed something that definitely kept us safe. We told Ted that even if we had locks, and for some reason the breaker just had to be closed and the electrician had forgotten to remove his lock, the shift supervisor could keep a master key in his office to remove the lock. He finally agreed. His problem was a loss of control. The thought was that the Shift Supervisor had ultimate power. If you don’t learn from history you are bound to repeat it. No. I’m not going to change subjects and talk about socialized healthcare and how it destroys all concepts of quality and privacy. So, as electricians, we weren’t really happy with this situation. We had a secret weapon against human error. Sure we would place a lock on the breaker. But after the operator would leave, before we placed our lock on the breaker, we might just open up the breaker box and remove the entire face off of the relay. It was similar to removing the heaters only it was bigger. It completely opened the circuit no matter what. I hadn’t really planned on talking about this next story for a couple more years, but I’ll tell it now because it fits with this story. In the month of May, 2001. I had already given my notice to leave the plant to work for Dell as a software developer. I was asked to work on a job with my old bucket buddy Diana Brien. The problem was that there was a grounded three phase circuit up on the Surge Bin tower. It had been tracked down to the dust collectors located below the surge bin conveyor floor. Dee and I walked up to the Gravimetric feeder deck to look at the breaker to make sure it was turned off. It had a Danger tag on it that had been placed by the Shift Supervisor. The breaker was open and the message on the tag said “Do not close this breaker. The circuit is grounded”. Ok. We walked up to the surge bin tower through the counter weight room for belts 18 and 19. We opened up the big junction box that fed the power to the two large dust collector motors on the landing behind us. After taking the cover off of the box, I took out my multimeter and checked the circuit. The big copper bus was dead (that means, there was no electricity present). So, Dee and I worked on locating the grounded circuit. I had just removed the cover to the junction box on one of the motors while Dee was removing some wires from the control panel when Larry Tapp arrived on the landing through the same route we had taken from the gravimetric feeder deck. Larry asked us what we were doing. We told him we were tracking down the ground on the Dust Collectors. Larry looked surprised. 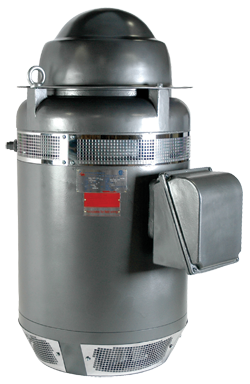 You see… Larry explained that he had just come from the Gravimetric feeder deck where he had just closed the breaker for the dust collectors. This particular breaker didn’t have a relay, as it was controlled by the control panel where Dee had been working. So, I rechecked the copper bus with my multimeter and it was hot. 480 volts hot. I had just been looking through my tool bucket for two wrenches to remove a piece of the bus work just to make sure the ground wasn’t in the box itself when Larry had arrived. In other words, if Larry had arrived 5 to 10 seconds later, he would have probably arrived to find Dee looking down at my body, stunned that I had just been electrocuted by a circuit that we had just tested and found dead. If you don’t learn by history you are bound to repeat it. You see… there is a difference between a Hold Tag and a Danger Tag. A hold tag is placed on a breaker after someone has requested a clearance by signing a form in the Shift Supervisor’s office in the control room. 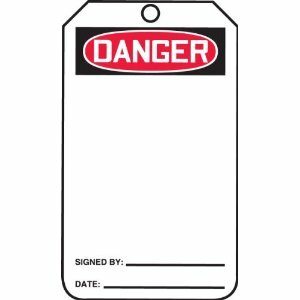 A Danger tag can be placed and removed at anytime by the person that placed the tag on the breaker. So, I personally wrote this up as a “near” accident. We could have wiped our brow, pinched ourselves to make sure we weren’t dreaming. We could have checked our diaper to make sure it was still dry and then Dee could have said a few choice words that Larry Tapp would have agreed with (I have always had a mental block against expressing myself in that manner…. I found other ways). And we could have left this incident as a secret between Larry, Dee and I.
I thought it was a good time to remind the electricians throughout power production to follow the clearance procedures when working on high voltage circuits. Sure. Dee, Bill Ennis and I have powerful guardian Angels looking out for us…. but gee… I think we should be expected to look out for ourselves. So, I wrote up this incident to warn the rest of the team….. If we don’t learn from history, we are bound to repeat it. I met with my roomie Steven Trammell, a month and a half later in Perkins Restaurant in Stillwater, Oklahoma to discuss his performance plan. I was a 360 Degree Assessment Counselor and my favorite roommate from 17 years earlier had chosen me to review his performance appraisal. During this meeting I asked Steven, who had driven from Harrah, Oklahoma from another power plant to meet with me, if he had read the near accident report about the dust collector at our plant. My roomie told me that he had, and that he thought it seemed to unduly blame the electrician. I told him I was the electrician and that I wrote the report. After 18 years of being an electrician, I had become so relaxed in my job that I had become dangerous to myself and others. So, after I did a cause-effect analysis of the near accident, most of the cause had come from my own belief that I could circumvent clearance procedures and save time and still believe that I was being safe. On my drive back to the plant after the meeting with my favorite roomie of all time, I had time to think about this…. I was going to be leaving the power plant in a little over a month to work for Dell as a programmer. I knew this when I had been negligent with the Danger tag. I could have caused the death of both Dee and I. I will sure be glad to be in Texas. — Only.. I will miss my friends most of all. I leave the Power Plant with this one thought…. If you don’t learn from history, you are bound to repeat it. I mean it… This time I really do. This is a great story. I thank God for His guardian angels and I thank you for taking responsibility. It was always difficult investigating accidents because people are a little reluctant to share their mistakes with the world. But a wise man knows it’s better to have a bruised ego than a fried friend. As an old time operator and having follows in my fathers footsteps as a Shift Supervisor, The answer to all of these problems to add steps to the clearance procedure to make sure the heaters were removed and then replaced. The second was definitely an operator error, and I agree with you about it, The Shift supervisors did argue for it however the hubris of certain power hungry people managed to intimidate and control the situation. You do not ever work on equipment without your own clearance or a plan that includes the SS, as you mentioned He is the operating authority, or was until a person by the initials of Jim Arnold rewrote the procedures and made himself the Authority. Traditionally on distribution lines, we left our shotgun hanging on the (grounded) stinger to notify everyone since there is no (effective) way to LOTO a power line. Imagine my vocabulary one fine day up in Montana when I drove up to reenergize a tap to find it energized and a crew I had never seen putting my shotgun in their truck. That day, I got a profuse apology (and assurances) from the line superintendent in person, 50 miles from the office. I never worked dead again without three point grounding, and I require my people to use it as well, I don’t like funerals. Hot line is actually safer for most operations. I have great respect for electricity, power tools and the threat of human error. That was a close call. Glad you had the presence of mind and experience to think to check again.